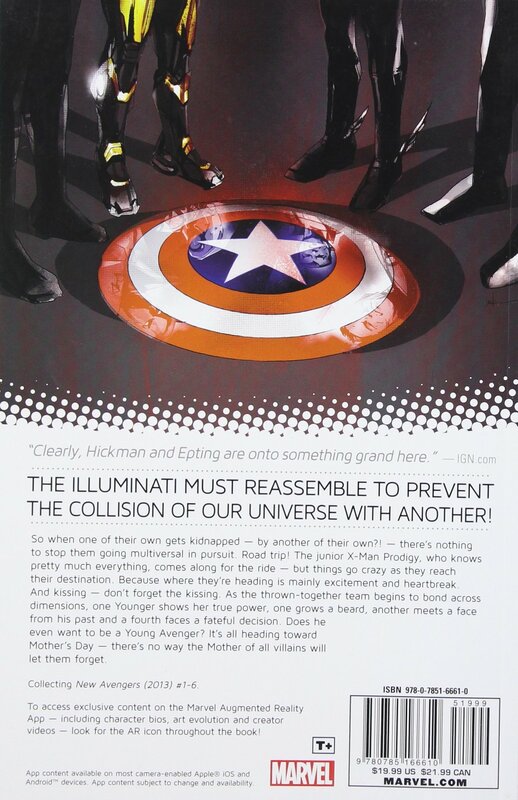 The Illuminati must reassemble to prevent the collision of our universe with another! 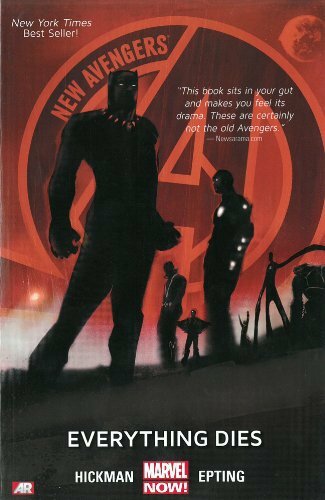 It's the Marvel Universe's most powerful and brilliant team - Black Panther, Iron Man, Dr. Strange, Black Bolt, Mr. Fantastic, Sub-Mariner and the Beast - armed with the six Infinity Gems against an infinite legion of parallel realities. But their task is complicated by old wounds, lies and secret agendas. When the Illuminati experiences its first dimensional incursion, can the members of this loose brotherhood trust each other enough to use the Infinity Gems in unison? And when they learn Earth is the center point for the death of the universe, doesn't that mean destroying it might save everything else? Enter the world-eater, Galactus, as the Illuminati does the unthinkable! Jonathan Hickman and Steve Epting revamp New Avengers in a multi verse-spanning saga!